This post is the fifth in a series of blog posts on the subject of connections in Nature; how man is gradually destroying these vital connections that keep him alive; and possible ways to work with Nature to conserve these extremely important connections. I am hoping that the material in this series will be helpful to environmental educators as they plan lesson sets. I also hope that students will use the information to develop their own presentations and projects. And, of course, I hope the material will be useful to all of you who are stewards of Nature who are looking for ways to conserve Her. 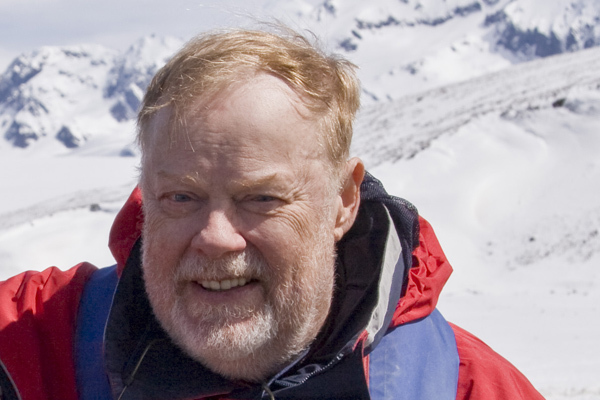 In this series of blogs that focus on restoring connections in Nature, we’ve looked at the highly destructive age of mankind which has been dubbed the “anthropocene” — a seemingly hopeless situation for the long term survival of mankind and Earth. We then offered a hint of hope with the ideas of resilience and the restoration of Nature’s ecosystems. We went on to examine large connections between ecosystems known as “edges” or “ecotones”. The most recent post in this series addressed the need for Earth’s creatures to maintain connectivity between ecosystems that have been fragmented by mankind. We discussed wildlife corridors that are either naturally present or constructed by man to restore the needed links between ecosystems. Our tone became more positive as we saw examples of mankind gradually recreating those essential wildlife corridors. With this post, we look at a more integrated approach to reconnecting Nature, an approach that is accepted and applied in the international community — the concept of biosphere reserves. There is an ongoing debate between two schools of thought within the field of conservation science. One group believes that setting aside land tracts only for Nature’s sake, free from humans, will permit her to take care of herself. 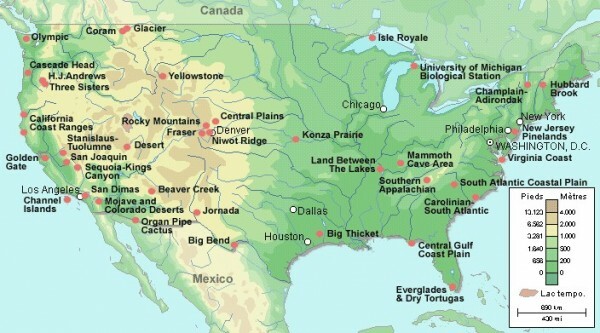 This worldview is seen in designated wilderness areas. Yet, studies have shown that even as more land is set aside for protection from human influence, global biodiversity in the protected areas continues to decline. A second worldview in the conservation community values both Nature for herself and for human purpose. This view calls for the protection of Nature while working with business entities to find mixes of economic benefit and conservation success. The idea is to blend human development with Nature. This view accepts the presence of the Anthropocene as a permanent reality and seeks to protect natural habitat where people live and work. There is an excellent article, entitled “The Battle For The Soul Of Conservation Science” that explains these two worldviews in greater detail. In this essay, we look at biosphere reserves – one way of protecting natural habitat where people live and work. We think of the word “island” as a land mass that is isolated from a mainland by water, it is also a metaphor for an ecosystem that is isolated from other ecosystems by habitat boundaries that are created by Nature or by mankind. In earlier posts, we noted that the huge and growing human population has fragmented the habitats and ecosystems of flora and fauna. The remaining fragmented pieces of ecosystems are referred to as “islands”. In the blog on corridors we emphasized that these islands need to be reconnected in order for Nature to function properly. In 1967, the work of MacArthur and Wilson on island biogeography showed that large islands had a richer biodiversity than smaller islands. The rate of extinction is lower on larger islands. These researchers showed that one thing that made a big difference in ecosystem survival was the rate of replenishment through “in-migration” of species. In-migration depends on the proximity of land masses or other large islands. It was suggested that bigger is better than smaller; one large park or reserve is better than several separate and smaller islands that aggregate the same area and that Nature reserves close together are better than equivalent ones widely spaced. Better yet, reserves connected to each other are far better than separated. Equally important, an island protected from conflicting use (such as man made communities or activities ) is better than no protection. Enlarging the size of existing islands or Nature preserves is difficult because the process entails acquiring the land of other humans or political entities. A better alternative would be to promote nature-friendly land and water management on surrounding lands through cooperative efforts. This can be a huge undertaking fraught with all sorts of conflicting interests. But,the idea is taking place in many instances where US Forest Service (USFS) and Bureau of Land Management (BLM) lands surround US National Park Service (NPS) preserves. The so-called “kingdom mentality” of these bureaucracies is put to good use as established protected areas surround other interconnected protected areas. Conservation of Biodiversity – to contribute to the conservation of landscapes, ecosystems, species and genetic variation. Sustainable Development – to foster economic and human development which is socio-culturally and ecologically sustainable. Support for Logistics – to provide support for research, monitoring, education and information exchange related to local, national and global issues of conservation and development. The planning that goes into these activities helps residents in a biosphere reserve to identify and meet their own needs, in their own way. It also provides opportunities to draw together a broad base of support from all sectors of the community or communities associated with the biosphere reserve. The zone concept is designed to be flexible and may be used in a variety of ways in order to address local needs and conditions. Ownership arrangements in a biosphere reserve vary as well. The core areas of biosphere reserves are often public lands with legal protection, such as a previously designated national park, wilderness area or wildlife refuge. However, the core area may be privately owned or belong to non-governmental organizations. Managers of the core areas may contribute resources to projects developed with residents, businesses and other partners of the biosphere reserve. 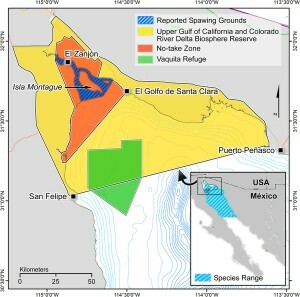 A buffer zones surrounds or is contiguous to the core area. Activities are organized so they do not hinder the conservation objectives of the core area, but rather help to protect it. 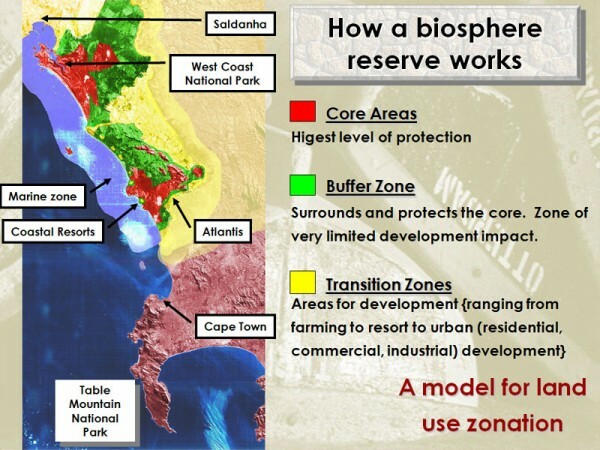 The buffer zone might be an area for experimental research, or may involve ways to manage natural vegetation, agricultural land, forests, fisheries or ranch land to enhance overall quality of production while conserving natural processes and biodiversity. This zone may also accommodate education, training, tourism, and recreation facilities. 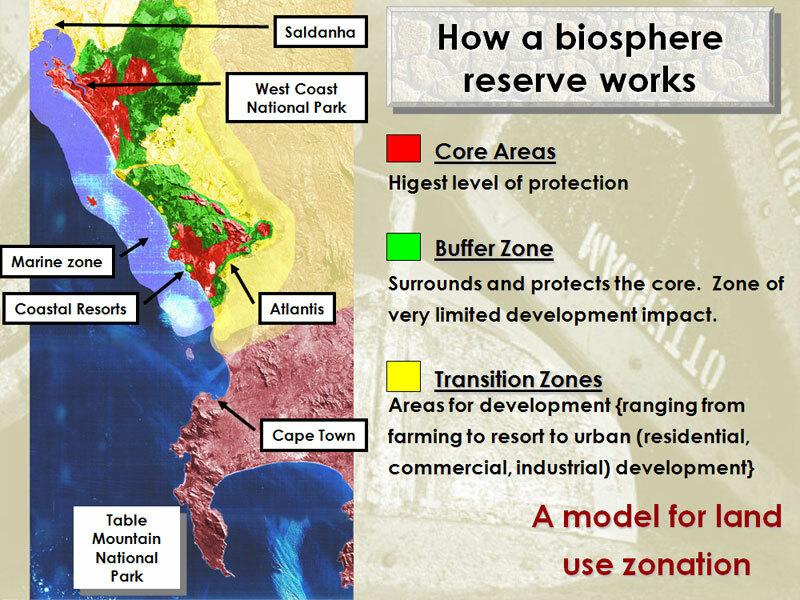 In many biosphere reserves the buffer zone is regarded as an area in which human use is less intensive than what might be found in the transition zone. A transition zone, or area of cooperation is the large outer area of a reserve where people live and work, using the natural resources of the area in a sustainable manner. The term ‘area of cooperation’ underscores the role of cooperation as the main tool to achieve the objectives of the biosphere reserve. It is here that the local communities, conservation agencies, scientists, civil associations, cultural groups, businesses and other stakeholders agree to work together to manage and use the area in a sustainable way that will benefit the people who live there. The Waterton Biosphere Reserve web site goes on to list the advantages of the biosphere concept. Biosphere reserves help ensure the environmental, economic, and social sustainability of the region, by encouraging wise use of natural and human resources. They provide practical ways to resolve land use conflicts and to protect biological diversity. A biosphere reserve area gains access to information, expertise, support and funding through national and international networks. Biosphere reserves encourage diverse local economies to revitalize rural areas. The biosphere concept can be used as a framework to guide and reinforce projects that enhance people’s livelihoods. Biosphere reserves attract academic and government research activity that addresses local issues and problems. 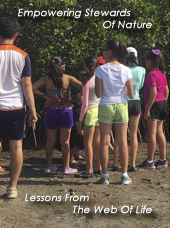 Biosphere reserves serve as learning sites to explore and demonstrate approaches to conservation and sustainable development providing lessons which can be applied elsewhere. Biosphere reserves highlight the distinctiveness of the area and help foster a sense of place amongst residents and visitors. Designation of a biosphere reserve can raise awareness among local people, citizens, and government authorities on environmental and development issues. A biosphere reserve provides a focus for stakeholder cooperation and volunteer involvement. 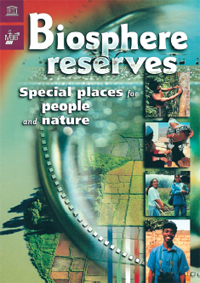 Here are two videos that describe biosphere reserves. The first video portrays biosphere reserves in Canada. The second video is called “People and nature – better together!“. Enough people have recognized the damage we have done and are doing something about it. The reconstruction process is actually happening. I see more and more people and groups changing from a harsh pro-human worldview to a softer, more caring, and holistic worldview that includes Nature. An example is a growing number of ranchers who, instead of killing valuable predators, are turning to non-lethal predator control. Of course, all is not perfect or working well. The one biosphere reserve that I am close to is the Northern Sea of Cortez in Mexico. Lack of enforcement continues to keep the endangered indigenous porpoise, Vaquita, in great peril from drift nets that capture prohibited fish that are sold into markets within the United States. When the reserve was initiated, the Mexican government failed to provide an alternate economy for fishermen who needed income to feed their families. Fortunately, there are dedicated groups of scientists and conservationists who are working on this problem. 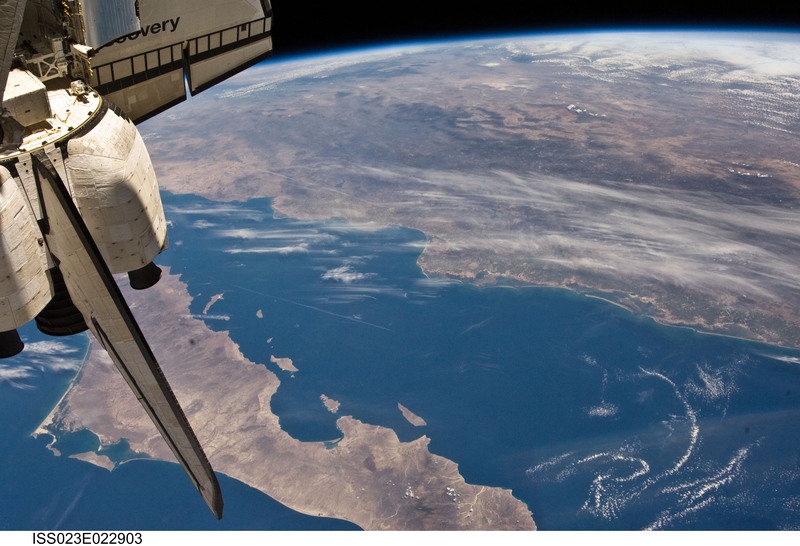 Recently, the Mexican government has pledged an expanded effort. 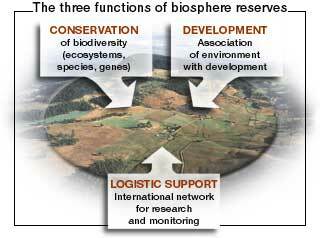 The concept of biosphere reserves provides these three essentials. Also, things are going in the right direction because biosphere reserves build and utilize a vital consciousness that we are all connected and that it is this connectedness that works to create and sustain a Nature that is essential to the survival of all creatures on Earth. Thanks for your comment Merridy. An welcome to the blog. I hope to hear more from you !!!! So sad to think that we have to argue and debate to save nature. We’re part of earth’s ecosystem and need to treat this beautiful world with love and share it with our fellow species if we all want to survive. We’re at the tipping point and there are things we can all do as individuals to help to minimise the damage we’re causing. Thank you for all the work you’ve done to promote understanding and compassion. I enjoy each and every one of your mailings. Thanks for your encouragement and your moral support Mary.